* I want the divorce but I am not sure if it is the right decision. Since going through a divorce impacts the lives of your children as well as your lifestyle, economics, and marital investment, the pressure to make the “perfectly correct” decision is enormous. * I do not want the divorce but my spouse does. Being in this reactive place will leave you feeling out of control and helpless. You will experience intense emotional devastation as your life will be changing before your eyes without you having any say in the outcome. In addressing this dilemma, you need to ask yourself if you are clinging to familiar, safe ground and to a marriage based on illusions. It is not easy to acknowledge and confront the problems in a marriage, especially when you are feeling so hurt by your partner. * I only want this divorce because my marriage is not working. There will be tremendous preoccupation and anger about how your partner caused you to make this decision. The amount of noise generated from this blaming will be in direct proportion to your unwillingness to risk expressing any of your own fears and sadness. If this doesn’t occur, the divorce proceedings to follow will be riddled with tension and conflict as well as a continuation of the blaming. CPA Ginita Wall has some sound advice for strategies for separating out the emotion in a divorce from the financial outcomes. Attorney Michael Roe has seen, from years in practice interfacing with judges in cases with complex financial issues, that judges are more interested in well managed facts, organized information, and persuasive arguments supported by case law in favor of my client’s positions on allocating cash flows and the marital estate. In other words, strong emotions and allegations of fault play no role in how judges decide the financial aspects of a case. Ms. Wall discusses well, below, some of the advantages in a collaborative process with financial issues in divorce. In divorce it is important to focus on the real problems to come up with real solutions. If spouses are at war, they are likely to see each other as the problem and the divorce as the solution. But they won’t get to true resolution until they recognize that simply isn’t true. The real problem is how to divvy everything up in divorce, and divorcing spouses won’t arrive at the best solution for their family until they collaborate on resolving their issues by working together, not against each other. Post holiday stresses can lead to divorces being initiated in the New Year. Unfortunately, for many couples that means planning separate lives. 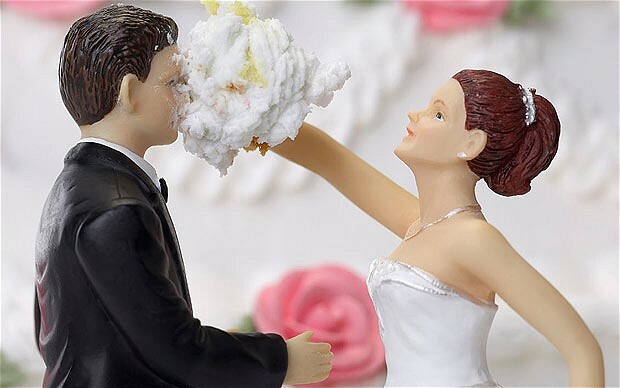 Lawyers even refer to the first working day in January as “Divorce Day” because so many people begin legal proceedings to end their marriages at this time, but ministers are urging couples to seek an alternative to “traumatic”, drawn-out and costly courtroom battles. They want bickering husbands and wives to consider using third-party mediators. Opting for the mediation route takes a quarter of the time that going through the divorce courts does and can be eight times cheaper, according to the Ministry of Justice. Now that 2010 has arrived people who have been considering filing for divorce are starting to take action. Once the decision is made to file for divorce, an important decision must also be made as to how the divorce will be conducted. Are you looking for a high cost, high conflict divorce? Well, these kinds of divorces are easy to engineer. They require anger, retribution, and a desire to burn through money without regard to future consequences. Are you looking for a better, less costly, lower stress collaborative experience? Then consider an initial consultation with my office to discuss my approach to cooperative divorce and collaborative practice. The attorneys who are spearheading the “collaborative divorce” movement have adopted this idea with the best of intentions. They are looking in good faith for a more humane and less stressful way to deal with the sturm und drang of marital dissolution. They are legitimately frustrated with the waste of time and duplication of effort that goes into simultaneous settlement negotiations and trial preparation. They want to make a hard time easier for their clients and for themselves. Selecting the lawyer that will represent you is one of the most important decisions that you will make in your divorce case. You should try to find a lawyer who is skilled, competent, and who only handles family law and divorce cases. Seek someone who is responsive and willing to communicate with you throughout the divorce process. Ask for recommendations from your friends and family members, but in the end, trust your own judgment. Schedule a consultation appointment with the lawyer. This will give you an opportunity to evaluate how you are treated by the staff and will give you some time to interact with and interview the lawyer. After spending thirty minutes to one hour with the lawyer, you should have a good feel for whether he or she is the right lawyer for you. One factor that is often overlooked is whether a lawyer’s personality compliments yours. You divorce lawyer is someone with whom you will be sharing many intimate details of your life as well confidential financial information. He or she must be someone with whom you are comfortable and whom you trust. Madonna and Guy Ritchie could be the first high-profile couple to divorce collaborative-style. The new, fast-track and non-confrontational way of reaching arrangements over money and children on divorce has just won senior judicial backing – in the week that the couple’s split became public knowledge. Collaborative law does not sound buzzy. But it is the in-method of reaching divorce agreements, with the benefits of speed, huge cost savings and, above all, minimum acrimony. In mediation, there is one trained ‘neutral’ who helps the disputing parties try to settle their case. The mediator cannot give either party legal advice, and cannot help either side advocate its position. Mediation is a facilitative process, and it works best when the parties have a strong desire to find middle ground solutions, and do not have strong disputed issues. Collaborative Law was designed to deal more effectively with conflicts in divorce, while maintaining the same absolute commitment to settlement as the sole agenda. Each side has quality legal advice and advocacy built in at all times during the process. Even if one side or the other lacks negotiating skill or financial understanding, or is emotionally upset or angry, the playing field is leveled by the presence of the parties’ own attorneys dedicated to the collaborative process. It is the job of the lawyers to work with their own clients if the clients are being unreasonable, to make sure that the process stays positive and productive, and on course to settlement. What many family lawyers have sensed for a few years has now been corroborated by Gregg Herman, who chairs the American Bar Association Family Law Section. He says, “Divorce has become far less litigious in that more cases are settled than litigated.” The members of the American Academy of Matrimonial Lawyers have noticed the same phenomenon. In a poll last year, 58 percent of its members indicated that more of their divorce cases over the past five years were settled without trial. James Hennenhoefer, the president of the Academy, believes that there is a clear preference especially among middle-income clients to resolve cases with less contention, in part to cut down on costs. Contentious divorces still exist. Custody/parenting issues still top the list of hotly disputed areas, followed by spousal support and division of retirement accounts. Acceptance by judges of shared parenting plans has helped mitigate custody litigation. The statistics and quotes appeared in the June 2008 ABA Journal article, “Still no Bed of Roses” written by Jill Schachner Chanen. Robert Mues originated this blog copy. You’ve probably heard horror stories from friends and acquaintances who’ve had expensive, ugly divorces, right? Maybe you’ve also heard from some who feel better about the process because they didn’t go the slash-and-burn route, but used divorce mediation instead. Divorce mediation is a process in which a neutral third person, called a mediator, sits down for a series of meetings with a divorcing couple to help them reach an agreement about things like property, custody, and support. Most couples arrive at agreements they can live with-which means they don’t have to fight it out in court. Mediation offers many advantages over court battles. Unless you’re one of those fortunate few divorcing people who can negotiate directly with your spouse with a minimum of acrimony to come to an agreement about dividing property and parenting your children, divorce mediation may be a great option for you.